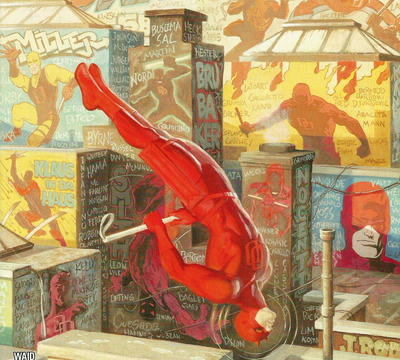 Set and filmed in New York City, it is only fitting that “Marvel’s Daredevil,” which debuts exclusively on Netflix in 2015, be unveiled at NYCC. Jeph Loeb, Marvel’s Head of Television, will lead a panel at NYCC on Saturday, October 11 with “Marvel’s Daredevil” showrunner Steve S. DeKnight and the series’ star-studded cast, including Charlie Cox (Matt Murdock / Daredevil). This will be the first time “Marvel’s Daredevil” cast will be assembled publicly to answer your burning questions about the series! 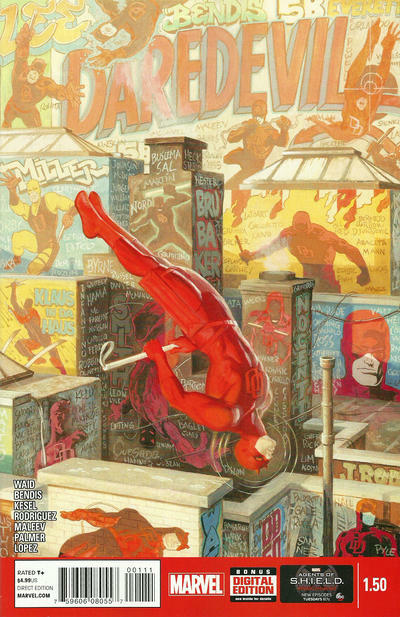 “Marvel’s Daredevil” is part of a partnership between Marvel Television, Netflix and the State of New York with all of the new television series being filmed in the streets of New York City. Filming kicked off with “Marvel’s Daredevil” and will continue to include series featuring Jessica Jones, Luke Cage, Iron Fist, and “Marvel’s The Defenders.” The alliance marks the largest film or television production project commitment in the history of New York State and will create 3,000 jobs and produce nearly 60 hours of television. On Friday, October 10, Marvel Television will present a first look at the second season of its popular animated series “Marvel’s Hulk and the Agents of S.M.A.S.H.” before its exciting season premiere on Sunday, October 12 (9:00 a.m., ET/PT) on Disney XD. Then, fans will experience the world premiere of an all-new episode of “Marvel’s Agents of S.H.I.E.L.D.,” before it debuts on ABC on Tuesday, October 14, in a panel moderated by Loeb. Jeph Loeb, Marvel’s Head of Television, brings you the biggest animation panel in this universe – or any other. Get an exclusive first look at content from “Marvel’s Hulk and the Agents of S.M.A.S.H.” Season 2 and the future of Marvel Animation. Jeph Loeb returns with exciting news and the world premiere of all new episode of “Marvel’s Agents of S.H.I.E.L.D.” before it debuts on ABC! Join the cast of “Marvel’s Daredevil” in their first-ever appearance with showrunner Steven S. DeKnight and moderator Jeph Loeb to answer questions and reveal secrets from the hotly-anticipated show debuting on Netflix in 2015. More exciting details about New York Comic Con events, talent and sponsors will be revealed in the coming weeks. For more information and to purchase tickets, please visit www.NewYorkComicCon.com or and New York Comic Con’s social media pages (Facebook, Twitter and Instagram).